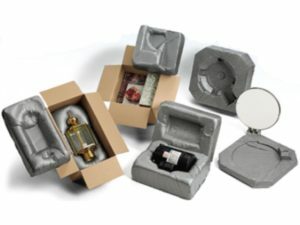 PACK & SEND are truly the experts when it comes to custom packaging and crating fragile, large, awkward and valuable items like computers, servers, artworks and antiques. We specialise in providing the right type of packaging for any item to protect your shipment. Time is too valuable and space is too limited to be storing bulky packaging supplies. Use PACK & SEND as your packing & despatch department. We can pack your items with our state-of-the-art packaging techniques. Whether it is one item or a thousand, we have the solution to meet your packaging needs. For added ‘peace of mind’, packed items delivered by PACK & SEND can also be protected for loss or damage through our Warranty. We offer the state of the art Foam-In-Place packaging method. This injected material expands in the box to fit any item, providing a secure, custom cradle. At PACK & SEND we are the leaders in the safe transportation of sensitive and delicate electronic and medical equipment across the country or across the world. At PACK & SEND, our world-class packaging standards have put us at the forefront for handling national or international shipping of arts and antiques. If you like to do-it-yourself, we’ve got everything you will ever need. Every one of our service centre locations has hundreds of the most commonly needed boxes for packaging, freight, storage and moving. Some items require packing inside wooden crates or cases before they are sent. 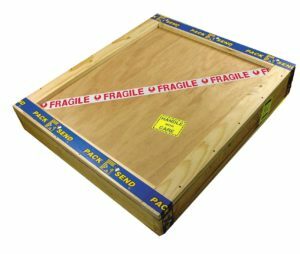 At PACK & SEND we specialise in building tailor made wooden crates and plywood cases. This protection can give you peace-of-mind when sending highly fragile and valuable items.